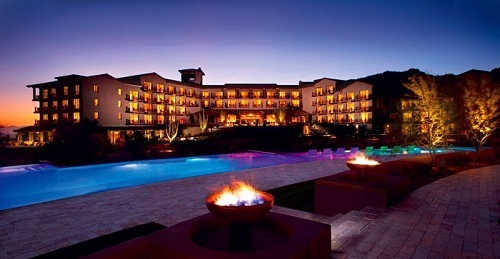 The Ritz-Carlton, Dove Mountain located in Marana near Tucson will soon be the only Ritz-Carlton property in Arizona. The Ritz-Carlton Hotel in Phoenix is closing its doors this summer. Due to close in July, the hotel will be undergoing extensive renovations and a full re-brand. The Ritz-Carlton is one of Marriott’s global brands, and they will be rebranding the Phoenix hotel into an Autograph Collection Hotel. The Autograph Collection is also an upscale / luxury brand but focuses on independent hotels with “bold originality”. The Ritz-Carlton, Dove Mountain always sees strong booking through the summer months regardless of the Phoenix business. However, if you’re planning a trip to the Dove Mountain resort, it’s always recommended to make reservations. If you love the luxury lifestyle that Ritz-Carlton resorts provide while on vacation, imagine duplicating that luxury in your very own home. The Residences at The Ritz-Carton, Dove Mountain is a luxury residential community that allows you to do just that. Homeowners have the opportunity to choose from 8 expansive floor-plans to start, and then work with the home builders and designers to customize their homes to their individual needs and desires. And if the floorplans don’t suit you, you can instead purchase an estate homesite and build your dream home from scratch. As for Ritz-Carlton luxuries, homeowners at The Residences gain access to all of the amenities of the hotel, including the spa, pool facilities (incorporating a 235-foot water slide), catering, housekeeping, concierge and home management services, all available at your option, if and when you want them. No other Dove Mountain real estate community has these types of services available for homeowners. Contact us today to learn more about The Residences at The Ritz-Carlton, Dove Mountain in Marana, Arizona.